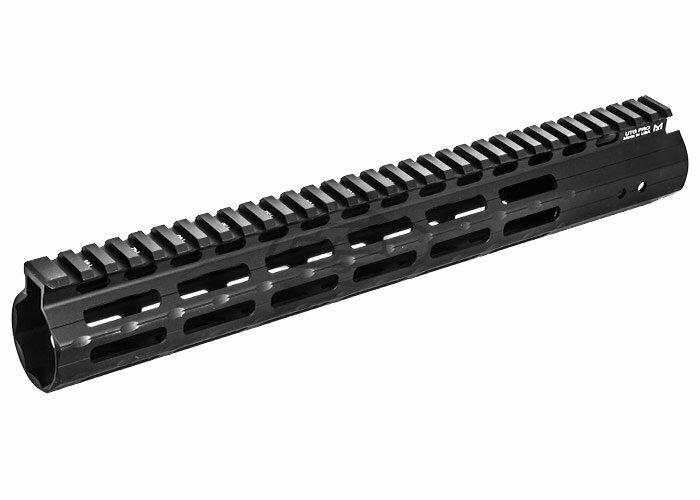 The UTG Pro M-Lok AR15 Super Slim Free Float Handguard features a proprietary barrel nut designed for a standard mil-spec AR15 upper receiver. Built to last, the aluminum construction is anodized with a black matte coat finish for long lasting results. The lightweight system features anti-rotating tabs for accurate alignment with the upper receiver. 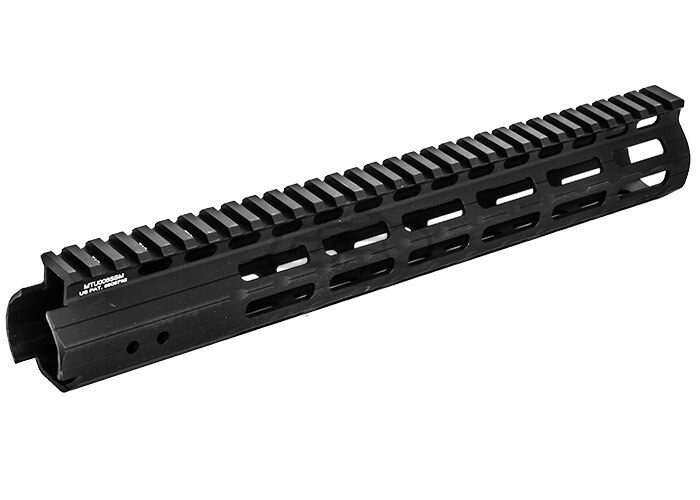 The completely prevents the handguard from rotating under heavy use. The ergonomic design compliments its well placed grooves on the rail surface for a solid grip and increased comfort. Designed to fit with a standard gas tube and barrel diameter that does not exceed 1" not compatible with a piston system, re-designed or over-sized upper receivers.